Directed by Marc James Roels & Emma de Swaef. 2018. 44 min. Dutch, French, Aka, and Malinke with English subtitles. 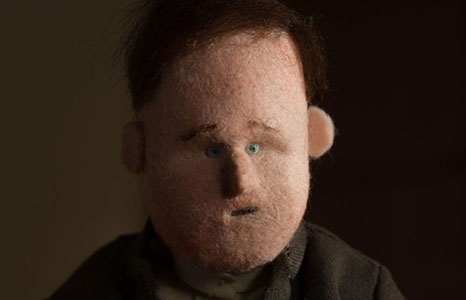 Fresh from Cannes, Toronto and Telluride comes a stop-motion film unlike any you've seen before. This mid-length feature from directing team Marc James Roels and Emma de Swaef offers a stunning surrealist vision and scathing critique of Belgian imperialism in the Congo. In the late 19th century, keen to compete with other European imperial powers on the continent, King Leopold II of Belgium proclaimed, “I do not want to miss a good chance of getting us a slice of this magnificent African cake.” The subsequent occupation of the Congo would come to attract a contingent of servants, merchants and miscellaneous bourgeois driven by everything from insatiable greed to existential fear. From the intimate stories of these characters—many of whom pass through a luxury hotel in the middle of the jungle—emerges a greater narrative concerning the imperialist mentality. In this surreal, darkly comic and brutal film, directors Marc James Roels and Emma de Swaef ultimately turn their critical gaze on the colonists themselves in a work of stunning, mysterious beauty. The Burden (2017), Niki Lindroth von Bahr, 14 min., Swedish with English subtitles. Oh Willy... (2012), Marc James Roels & Emma de Swaef, 17 min., No dialogue. Please note that these animated films are for an adult audience.